• Who is the Higher Self • Multdimensional Reality • Proof of Afterlife • What Happens When We Die • Research & Studies • TEST: Are You Hypnosable? This class length is from 9 a.m. to 4:30 p.m. with a 30 minutes lunch break. Please bring a bag lunch and a journal to class. Please fill out the registration form to receive additional information about the class location and your instructor. Thank you. Discover the power of the Reiki to bring harmony of body - mind - spirit. Ideal for anyone with emotional or physical ailment or those who feel drained from working the service or healthcare industry, Reiki one is more that a healing modality. Reiki 1 includes valuable practices to bring harmony of body mind and spirit; and it is the easiest and the fastest way to raise your vibration by increasing energy circulation within the chakra and meridian systems. Anyone can learn Reiki and no prior experience is necessary. Reiki, pronounced "ray key", is a heart-centered practice channeling the energy of source for the highest good of the receiver. Read the testimonials. This Reiki 1 class is so unique that many Reiki 2 and 3 retake it to improve their own life. All that pertains to self-healing has been pulled out of Reiki 2 and 3 to be included in this Reiki 1 class. Heal yourself and others & raise your vibration to reconnect to your Soul path. Upon completion of Reiki 3 you will be a 10th generation Reiki Master after Sensei Mikao Usui. The class is divided in two sessions. The morning session focuses on learning the meaning, the origin and power of Rei and Ki; and how to channel to the highest vibration from Source for the highest good of self and others. 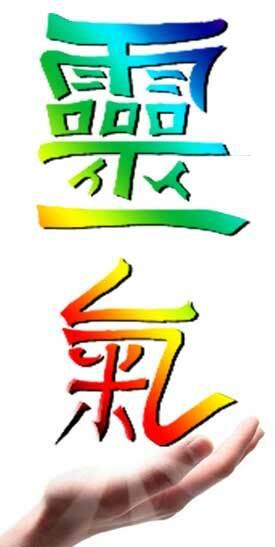 You receive the four attunements of Reiki 1 in sacred space and ceremony. While you are lead into a meditation with specific intention, you meet your Reiki guide and to receive guidance and healing. The experience is reviewed with your teacher who helps you understand the deeper meaning of your vision. STUDENT TESTIMONIAL: I highly recommend receiving Reiki training from Chantal. She is wonderful teacher who is loving, gracious, kind and knowledgeable. She provides her students with detailed coursework materials to study from and many opportunities to practice this spiritual work. She embodies Reiki and is truly a master in every sense of the word. I will also add that I was completely transformed by learning Reiki. My extrasensory perception is significantly enhanced and I have been awakened to the spiritual world in new and amazing ways. You've heard the commercials from advertisers that promise that you'll amaze your friends by the changes that will happen to you when you use their product or take their course? Well that exactly describes what has happened to me. My life is full of joy and appears to be guided by the angelic realm. I was just introduced to the work of Doreen Virtue and found myself nodding in agreement while reading all her descriptions of how angels communicate with us, because this is how I now experience life. This is not to say that I no longer encounter difficulties; however, the sense of awe from the happenings and gifts received each day has been unending since taking Reiki I and Reiki II and regularly following the practice. I very much look forward to taking the Reiki III class with Chantal. — Maria B. from Bethany, CT. Although many students take Reiki 1 to help themselves with no intention to become hold a Reiki practice, it is in Reiki 2 that you truly unleash the power of Reiki to help yourself with life’s situation, relationships and to be able to help family, friends and shape the world in a positive way. For this reason it is recommended to not wait more than 2 month to take Reiki 2. Often those who do will have let go of their self-healing practice and require the Reiki 1 Review class (afternoon session of Reiki 1 training) before taking Reiki 2. Through a well organized Reiki lecture including many hands-on exercises, clear demonstrations, and supervised hands-on Reiki practice, you will learn Reiki quickly and easily, to treat physical, emotional, mental, and spiritual disharmony in yourself and others. You will receive many tools to help yourself and others. Know how to give Reiki to your family and how to give special treatments to infants, children, pets and plants. How to remove trauma and energy block in ourselves and others. Understand how to use Reiki to heal any condition--physical, emotional, mental or spiritual. Full grasp of the meaning of Rei and Ki and what Reiki is in relationship to Divine Intelligence and Quantum physics. Understand the power of invocation and intention. Use a power breath in combination with Reiki to cleanse, purify and recharge your body. Experience two grounding meditation to learn to be present and connected to the earth and your inner self. Use a powerful method to shield and transmute psychic attacks in yourself. Appreciate how attitudes can the mind our emotions, and the physical body. Learn about the 7 main Chakras, where they are located, what they correspond with, what causes imbalances. Meet your Reiki guide who will assist you in your future Reiki practice and your personal growth. Enjoy meditation techniques to empower yourself and experience peace and harmony. Know the Five Principles of Reiki and how to apply the principles in your daily lives. In a safe a sacred space your will enjoy a deep spiritual experience as you meet your Spirit guide (or Guardian Angel) and receive guidance, healing and wisdom during the four attunements of Reiki 1. Through each attunement you are guided into a enlightening meditation. A comprehensive manual with detailed instruction of all that you will learn in class. Ongoing complimentary support. After the class your teacher is available via email or phone to support you on your continuing development as a Reiki healer. Your communication is always confidential and you have peace of mind of knowing that you have a knowledgeable and experienced teacher to turn to for help. Prepaid $100 or $125 at the door. Dr. Oz & the Healing Benefits of Reiki"
Reiki a catalyst to spiritual awakening"
Chantal Guillou-Brennan's Reiki 1 and Reiki 2 classes are excellent for anyone wanting to learn about Reiki. Chantal uses her insights and experiences to enhance her strong knowledge of the subject. It was a wonderful experience and I highly recommended it to anyone interested in learning about Reiki. Chantal is an excellent instructor, she took her time to be sure we understood clearly all aspects of the course. Answered all questions on how to heal myself and others. The amount of information was at first site overwhelming but with her assistance I had a much better understanding. I would absolutely recommend her classes and would attend additional classes myself. Thank you for the opportunity. After completing Reiki level one with Chantal I left with such a thirst for more knowledge. I came to the training with no intent to teach Reiki or become an active practitioner. I can say that I now have a desire for both and much more. There is so much to learn from Chantal- there aren't enough hours in the day! She is an infinite well of wisdom and knowledge and I look forward to continue to learn from her and to integrate the teachings into my life. I feel confident in my own abilities after going through training and I can feel that the information is coming from a very experienced, genuine and intuitive source. I feel very blessed that my path led me to her! Thanks. Thank you for the Reiki One certificate. It's the one and only Reiki One certificate I've ever received! (I took Reiki 1 twice before but I never felt anything.) Since the class I've run Access Bars on a couple of people and feel a difference in that my hands and every Bars point gets extremely warm, hot even. During one session of one hour and 15 minutes my hands actually felt like they were sweating [I think they were! ], that's how hot the releasing energy was. Before the class, I frequently felt warmth from some Bars points, but usually not all, and not always for the entire time on any one point . Now it's every point and for the entire time. Reiki has ramped up the potency and I believe the effectiveness of my Bars sessions. It's incredible. I am still a bit in shock about it... experiencing such a big change after 4 years of being a professional Bars practitioner. Thank you so much!! Love, Light and Aloha. Chantal is a powerful healer, a knowledgeable source on several healing modalities, and an excellent teacher of Reiki. Not only did she clearly present class material and patiently answer questions, but also, she personalized my learning experience so that it was tailored to the healing projects unique to me. Class time flew by, as she fluidly moved from lecture, to receiving symbols, to practical training. I have taken several classes over the years on different forms of energy healing, and put Chantal at the top of my list of recommended teachers. What’s more, I practice what I learned from Chantal almost every day, on myself and/or others. My clients and I all feel the healing effects, e.g. pain and inflammation subside or disappear, and physical and emotional stress is relieved resulting in relaxation. I am deeply grateful to Chantal for introducing me to Reiki, encouraging my practice, and directing myself and others toward wellness. Thanks to both levels of Reiki training I have received from Chantal, I feel that I have been given dynamic tools to make a difference in the world. My intention as a musician is to promote healing prayers for humanity and Mother Earth. Reiki has allowed me to channel energy in support of this intention without getting "tripped up" by my ego. I highly recommend Chantal's Reiki classes for anyone seeking truly empowering and enriching life experiences. I've recently had the pleasure of studying Reiki 1 with Chantal and can't begin to tell you how grateful I am for finally learning this modality. I had studied with a couple of different teachers and never felt confident enough to practice. With Chantal I found her to be very knowledgeable and she taught in such a way that even the novice beginner could understand. Most important to me was how she honored the sacred space of receiving the attunements separate from class. I left knowing what was expected of me if I chose to move on or not and how simple it can be to use this energy in everyday life. I recommend this class with Chantal as a true blessing and a wonderful gift for self. After taking Reiki 2 I can honestly say Chantal is a true inspiration to work with and learn from. She teaches all the curriculum that's needed and also keeps sacred space for attunements which is very important. I left knowing what I am capable of and what exactly is required of me to practice on others to share the gift of Reiki. I've taken a few Rieki classes with other teachers and just never felt the class was taught seriously enough for me to practice but with Chantal it was very clear and she made sure everyone understood how to move forward. Another great gift to learn and share. Forever grateful! Recommend our classes and remind your friend to give "your" name when they fill out their registration form. All classes & certification are from the Integrative Energy Medicine Institute. REIKI 1 REGISTRATION Select your date on the form. REIKI 2 REGISTRATION Select your date on the form. REIKI 3 REGISTRATION Select your date on the form. SHAMANIC REIKI REGISTR. Select your date on the form. ENERGY MED. REGISTRATION Select your program on the form. CHAKRA CLASS REGISTRATION Select your program on the form. Copyright © 2017 IEM Institute.